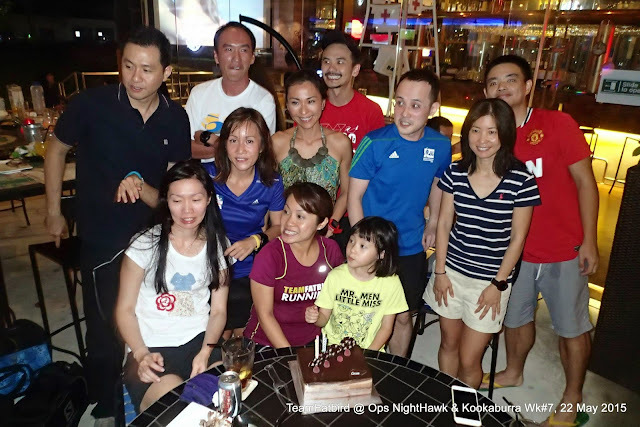 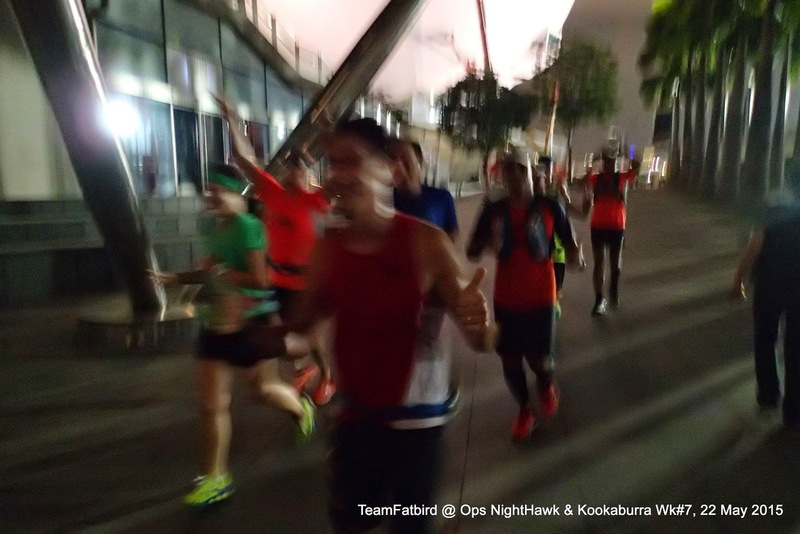 The second half of Ops Kookaburra marathon programs started with the participants breaching the psychological 18km (HM) and 30km for the Full Marathoners (FM). 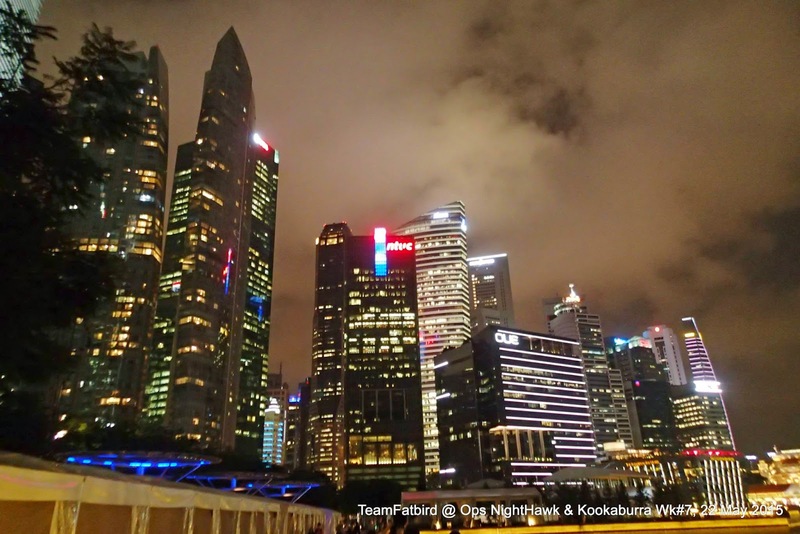 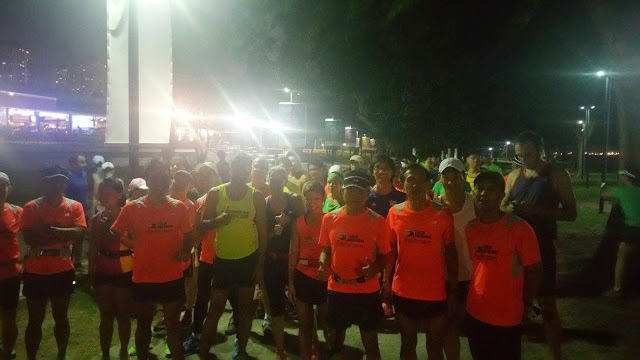 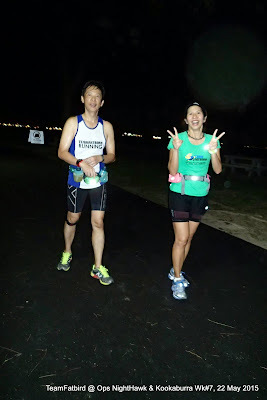 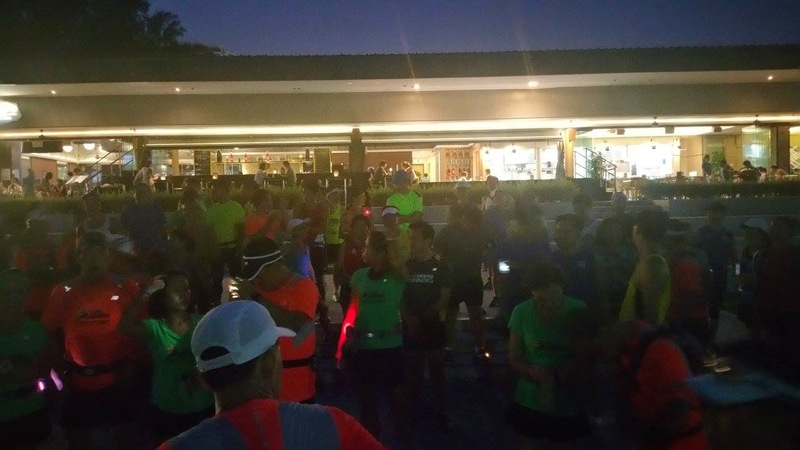 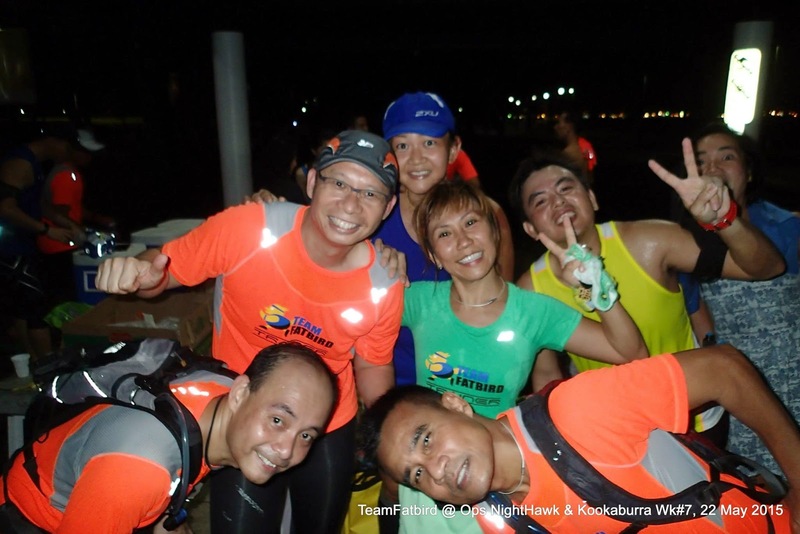 The air was humid and many of us were sweating buckets, with swishing sounds of wet socks in our running shoes echoing in the rather quiet and serene night. 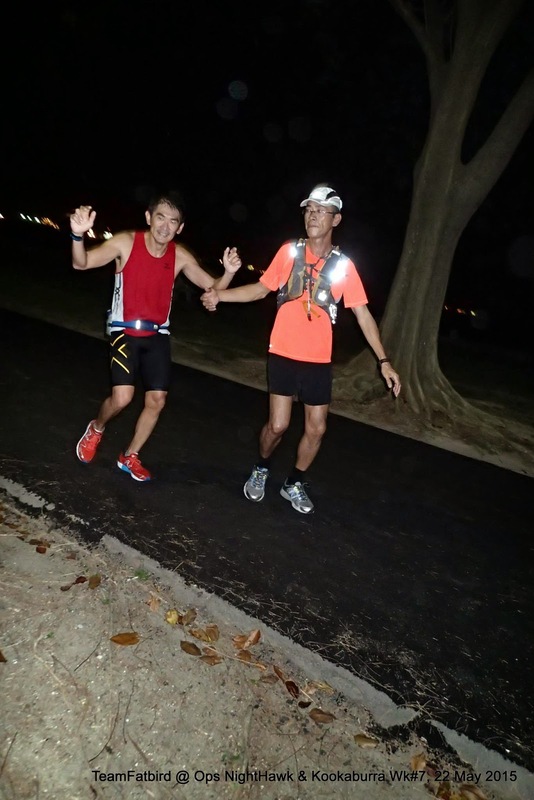 A few of the FMers experienced fatigue and symptoms of 'low sugar' after the 23-24km mark, evident that there were no top up of the fuel tanks with gels or sugar mixes. 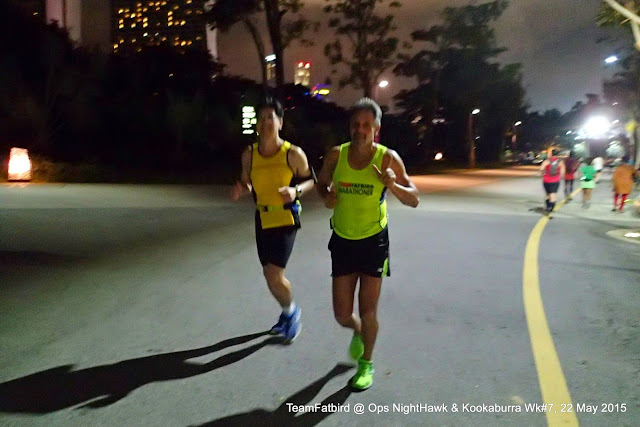 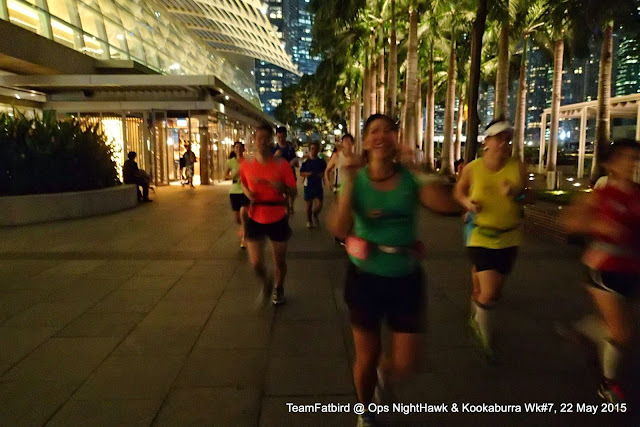 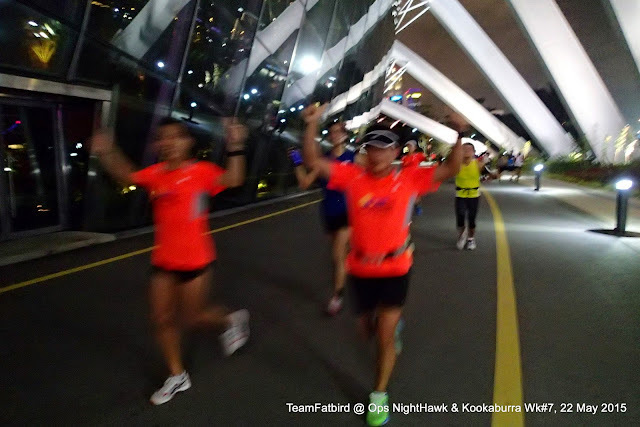 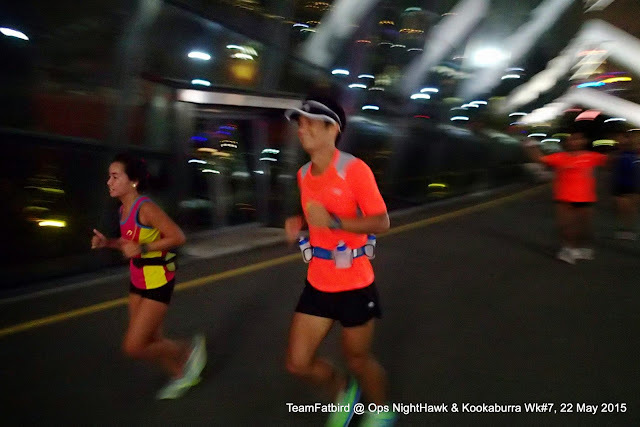 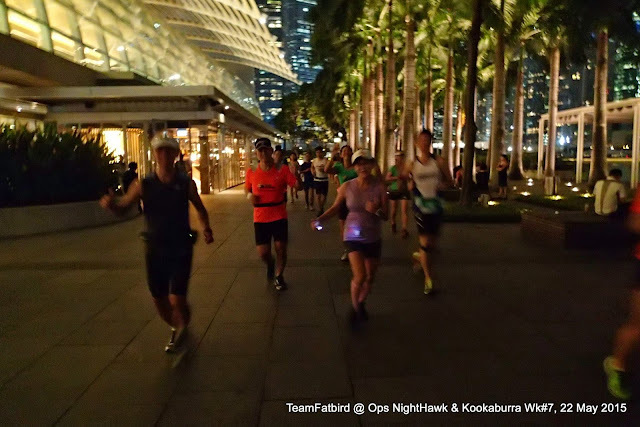 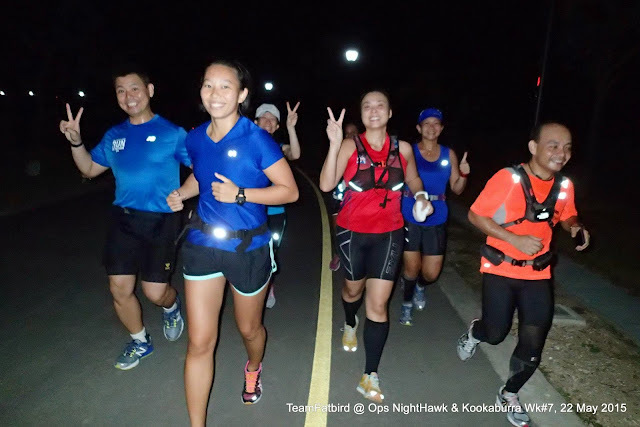 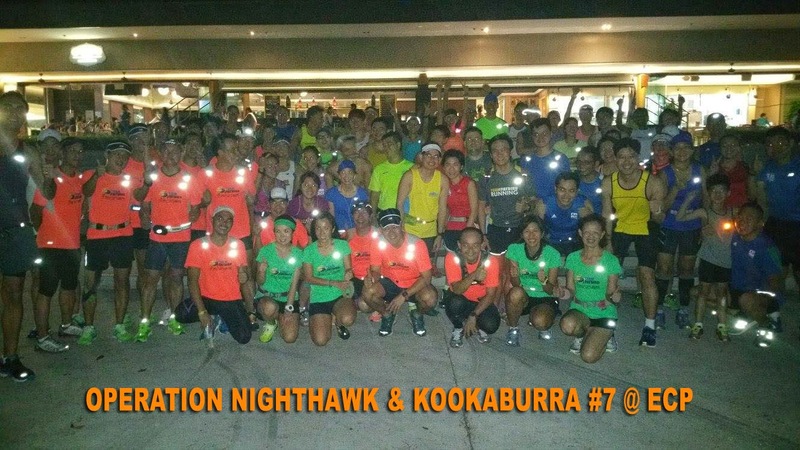 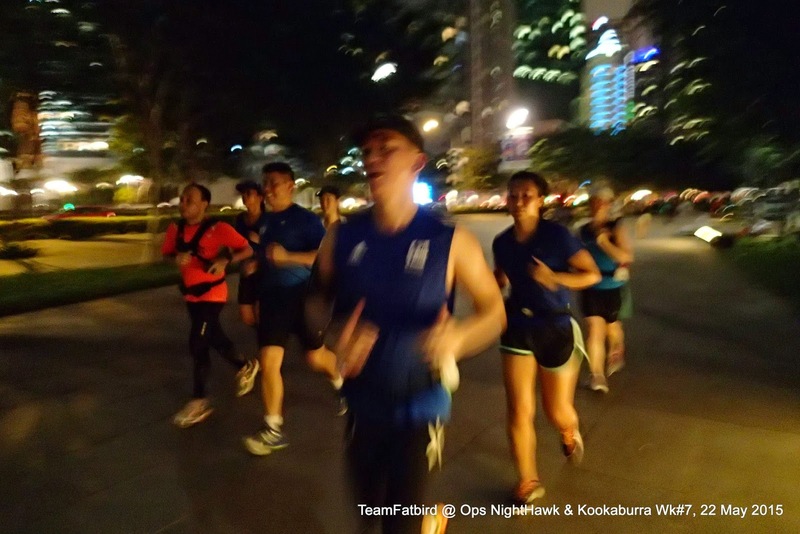 All Kookaburras completed the night's targeted distances in good form and many happy faces could be seen sharing their stories and how strong they felt during the run. 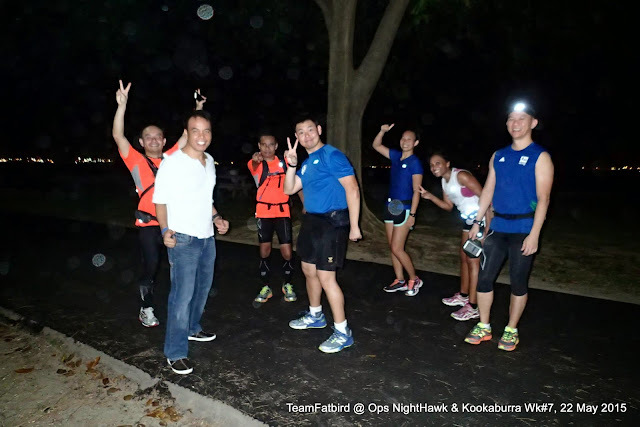 As we dispersed for our wash-up and making our way home, the night had only begun for the patrons at the restaurants and cafes around the Parkland Green area. Yet another session of training was successfully completed, and most trainees achieving the set training targets of the night with a number surpassing their own expectations...Well Done Kookaburras!